The U.S. and south Korean authorities are running the whole gamut of invectives against the DPRK over the clarification of its will to launch satellite and conduct a nuclear test, terming it “serious provocation”, “military threat” and “wanton violation of UN resolution”. The U.S. is mobilizing all types of equipment including spy satellites and desperately egging the south Korean warmongers on to block the DPRK’s satellite launch and nuclear test. They are also letting the ministries of Defense, Unification and Foreign Affairs to kick off confrontation rackets against the DPRK. 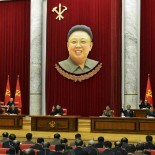 This as an unpardonable act of infringing upon the sovereignty of the DPRK. As recognized by public at home and abroad, space development has become a world trend. That is why many countries of the world are making huge investment in space development. They are vying with each other to launch satellites to get involved in hot competition for conquering space. It is an unpardonable infringement upon the sovereign right of the DPRK for the hostile forces to pull up the DPRK over its satellite launch. The U.S. and south Korean authorities must know why the DPRK had access to nuclear weapons while tightening its belt despite difficulties and trials. Now that the U.S. and south Korean warmongers are becoming all the more pronounced in their moves to stifle the DPRK by force of arms, it is a very just measure for self-defense in every aspect for the DPRK to bolster up the nuclear force both in quality and quantity. The U.S. should bear in mind that aggressors and provocateurs’ ever more undisguised infringement upon the sovereignty of the DPRK would only compel it to ratchet up its counter-action against them. If the south Korean authorities truly want to join hands with the compatriots in the north and improve the inter-Korean relations, they should properly understand the nature of the situation and act with discretion. The director of the DPRK’s Atomic Energy Institute (technically subordinate to the Ministry of Atomic Energy and Industry) gave an interview to DPRK state media on September 15 (Tuesday) in which he said that “scientists, technicians and workers in the field of atomic energy of the DPRK have made innovations day by day in their research and production to guarantee the reliability of the nuclear deterrent in every way by steadily improving the levels of nuclear weapons with various missions in quality and quantity.” The interview appeared less than a week after a recent analysis found ongoing activity at the Nyo’ngbyo’n atomic research facility. Of late, institutions specializing in nuclear activities and media of the Western world including the U.S. have become vociferous about nuclear activities in the DPRK, saying satellite data made them capture fresh activity in a nuclear establishment in Nyo’ngbyo’n and they are concerned about it. As known by the world, the DPRK’s access to the nuclear weapons is an outcome of the U.S. hostile policy towards it. Explicitly speaking, the DPRK took the measure for self-defense in the face of the U.S. extreme hostile policy and nuclear threats towards it. 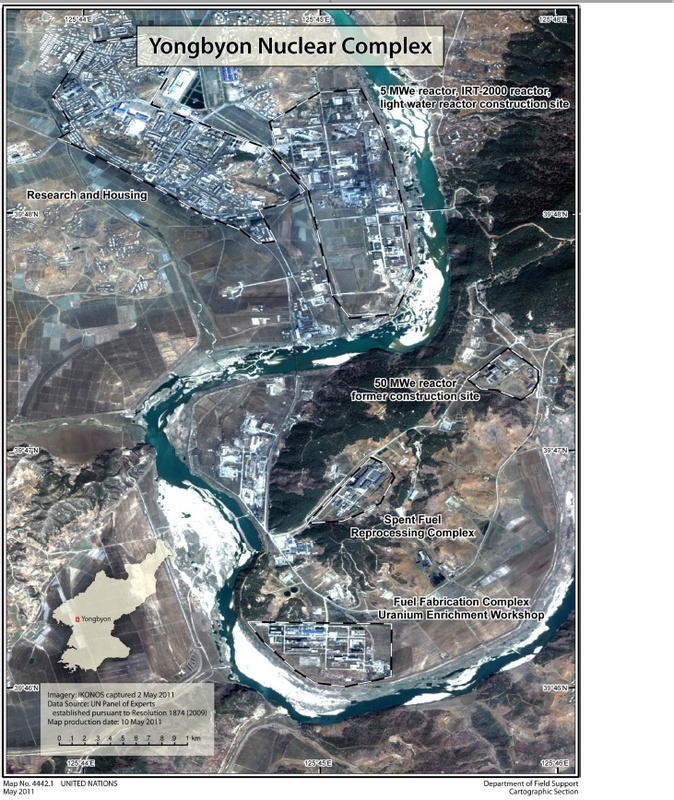 As was clarified by a spokesman for the then General Department of Atomic Energy of the DPRK in April 2013, all the nuclear facilities in Nyo’ngbyo’n including the uranium enrichment plant and 5 MW graphite-moderated reactor were rearranged, changed or readjusted and they started normal operation, pursuant to the line of simultaneously pushing forward the economic construction and the building of a nuclear force advanced at the historic plenary meeting of the Central Committee of the Workers’Party of Korea. In the meantime, the U.S. anachronistic hostile policy toward the DPRK that forced it to have access to the nuclear weapons has remained utterly unchanged and instead it has become all the more undisguised and vicious with the adoption of means openly seeking the downfall of the latter’s social system. Scientists, technicians and workers in the field of atomic energy of the DPRK have made innovations day by day in their research and production to guarantee the reliability of the nuclear deterrent in every way by steadily improving the levels of nuclear weapons with various missions in quality and quantity as required by the prevailing situation. If the U.S. and other hostile forces persistently seek their reckless hostile policy towards the DPRK and behave mischievously, the DPRK is fully ready to cope with them with nuclear weapons any time. This entry was posted on 09/15/2015 by nkleadershipwatch in 2nd Academy of Natural Science, Central Committee, Central Military Committee, critical infrastructure, General Department of Atomic Energy, Machine Building Industry Department, Ministry of Atomic Energy and Industry, National Defense Commission (NDC), State Academy of Sciences.